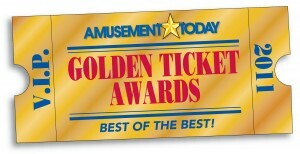 Every fall the Amusement Industry eagerly awaits the results of Amusement Today’s Golden Tickets. 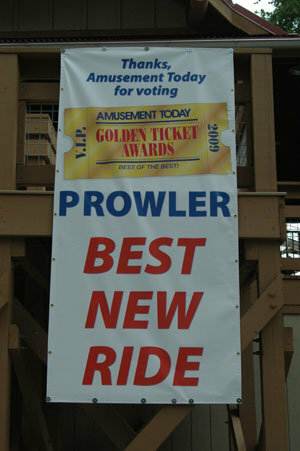 While the best new ride categories can be rather unpredictable, the other categories are usually consistant year to year. Since 2000, Millenium Force at Cedar Point and Bizzaro at Six Flags New England have had a tug of war for the #1 steel coaster spot. Coaster enthusiasts scream that the results are rigged and that Millenium Force has never deserved the #1 spot. So are the results rigged? Not by Amusement Today, but by the voters themselves. Think about it. How many people in the Amusement Industry have been on every coaster in the world? There are very few that have even come close to achieving the feat and all of them are enthusiasts rather than employees of an attraction. You’ll never be able to create a coaster award program that has enough fair data. It’s impossible because the industry is so huge. To answer the calls that the Golden Tickets are unfair/rigged/just promotional material, Mitch Hawker created the Best Roller Coaster Poll for both steel & wooden. This allows enthusiasts to have their say in what they think is the best in the world. But still, it’s unfair and swayed. Very few enthusiasts have been to more than a few parks. A large majority of enthusiasts make claims about coasters from what they read online. A few enthusiasts with large online followings use it to their advantage and play up coasters they like. They don’t explicitly say “hey, vote for so and so,” because people would come running in with red flags slapping them. Instead they over emphasize in posts on forums, tweets, and Facebook statuses. Those over emphasized posts stick with people. It tilts their brain towards thinking it’s the most amazing coaster in the world. If the top players in the enthusiast group said a Eurofighter was in the top 10 in the world the rest of the enthusiasts would follow. The only way we’ll ever be able to have an accurate coaster awards or poll system is by asking people in person and only allowing them to vote on parks they’ve been to. Who would do this? No one. It’d take an extraordinary amount of time and money to pull off an “accurate” poll, and I’m sure even this poll would tilt some way. Despite all these awards and polls, people will always have a favorite coaster. How many millions of people have a Disney coaster as the top spot in their mind? The amusement industry is just like the film industry: we can hand out awards left and right to what the “experts” say is the best, but people will still believe in their own preferences. If you don’t like the Golden Ticket results, just ignore them. It’s not a sin to. You have all the right in the world to still think Barnstormer is the greatest coaster ever. Just don’t try to hold the awards & polls hosts accountable. They’ll never be able to make an accurate system. It has been, and always will be, a tilted system. Do you agree that coaster awards and polls shouldn’t be taken so seriously and that we’ll never be able to come up with a system that works fairly? 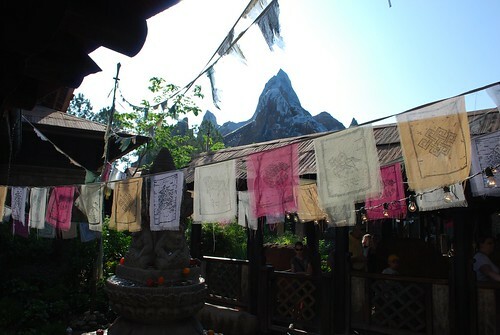 Leave your Park Thoughts below.